JB Sales Survey Equipment stock a range of rotating laser levels and dual grade laser levels. 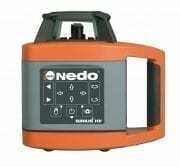 We are authorised distributors for Topcon Positioning, Nedo and Spectra Precision. Our laser levels are available with an aluminium tripod and 5m telescopic staff. If you require training on any of our products this can be arranged both on and off site and tailored to meet your needs. We are an authorised service centre for Topcon Positioning, Nedo and Spectra Precision and can therefore complete all service and warranty works required. 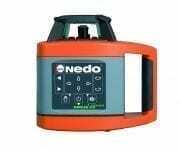 We also service other makes and models, to book your survey equipment in please visit our service page. For any further information please visit our FAQ page or give us a call. 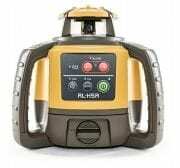 The Spectra Precision® LL300S is a ruggedized, fully automatic self-leveling Laser Level for all general concrete and site preparation applications. With the addition of the arrow buttons on the transmitter, grade matching can be performed whilst the other axis remains self levelled.